The 10.045 Millennium Merlin Cold Vapor AAS System was developed to be compliant with EPA Cold Vapor methods stipulating the use of atomic absorption for the determination of mercury at low levels. The system is based on continuous flow generation (similar to the PSA 10.025 Millennium Merlin) but utilises atomic absorption as the detection method. As with all PSA Millennium Merlin systems, detection levels in sub ppt levels are readily available. 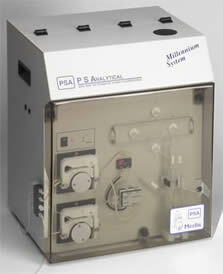 The system is controlled by the PSA Millennium Software and forms part of a fully automated system with the addition of one of the PSA Autosamplers. 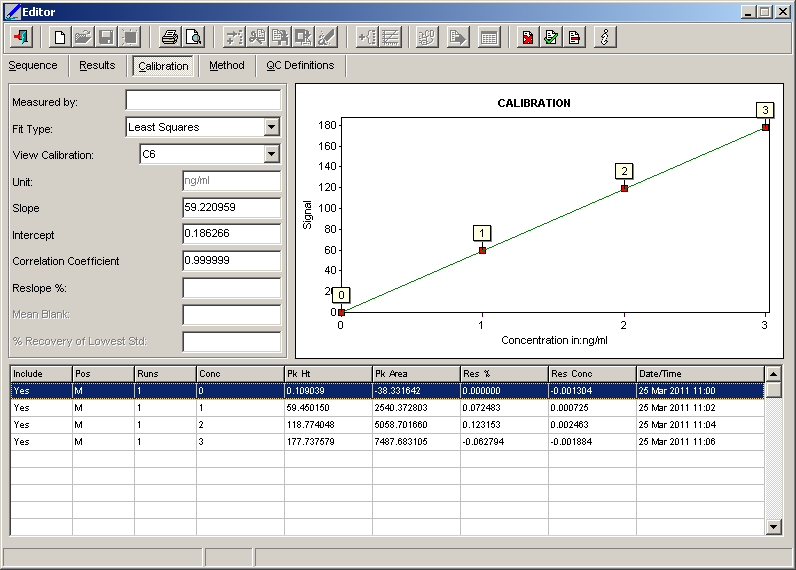 The Millennium software not only controls the instrument but allows discrete data capture with full integration into user networks and formats.The software records all instrument parameters and calibration graph with the results of each analysis so is excellent for GLP records. The PSA 10.045 Millennium Merlin Cold Vapor AAS System is designed specifically for Cold Vapor AAS technology and compliant to the following methods: EPA 245.1, EPA 245.2, EPA 7470 and EPA 7471. For applications which require more sensitivity to mercury, please go to the PSA 10.025 Millennium Merlin and the PSA 10.035 Millennium Merlin 1631 pages. A range of Autosamplers and Accessories are available with the PSA 10.045 Millennium Merlin AA. To discuss particular requirements and for more detailed information on the above products please complete the Information Request Form.